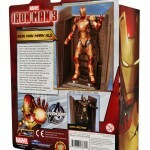 The wait for the ultimate Iron Man 3 action figures is almost here! 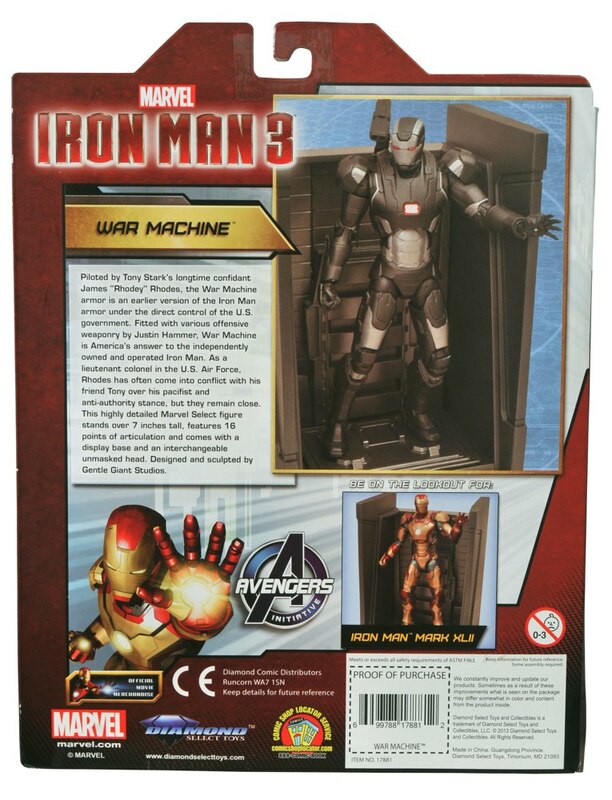 Diamond Select Toys has given us a first look at the packaged shots for the Iron Man Mark 42 armor as well as the War Machine armor! 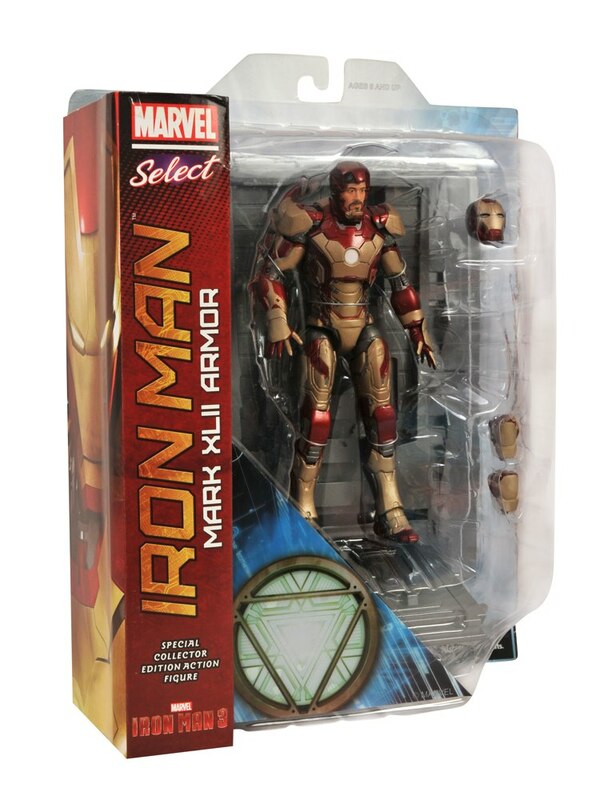 Each 7-inch figure has 16 points of articulation, an interchangeable unmasked head and an armor bay display base, all packed into oversized Select display packaging, with spine artwork for shelf storage. 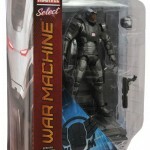 War Machine has a removable, articulated shoulder cannon, and Iron Man comes with interchangeable fists! 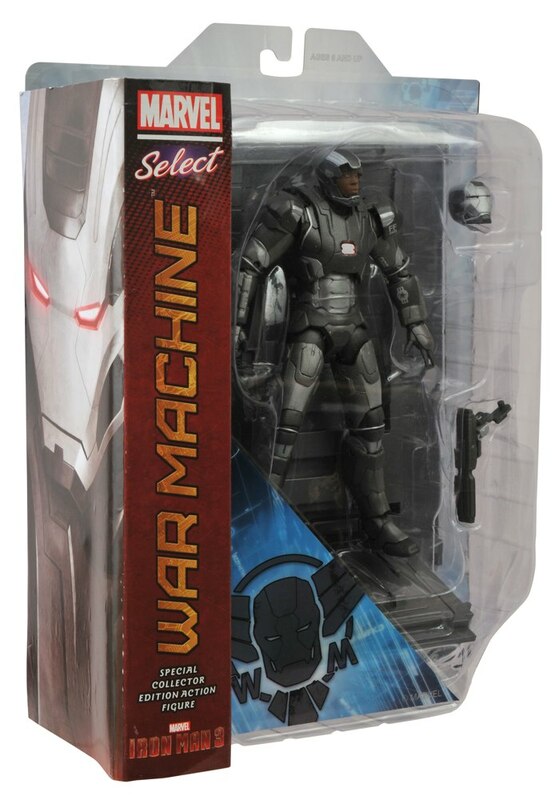 These figures will ship to comic shops and specialty stores in June, so check out the final product below and reserve yours today! 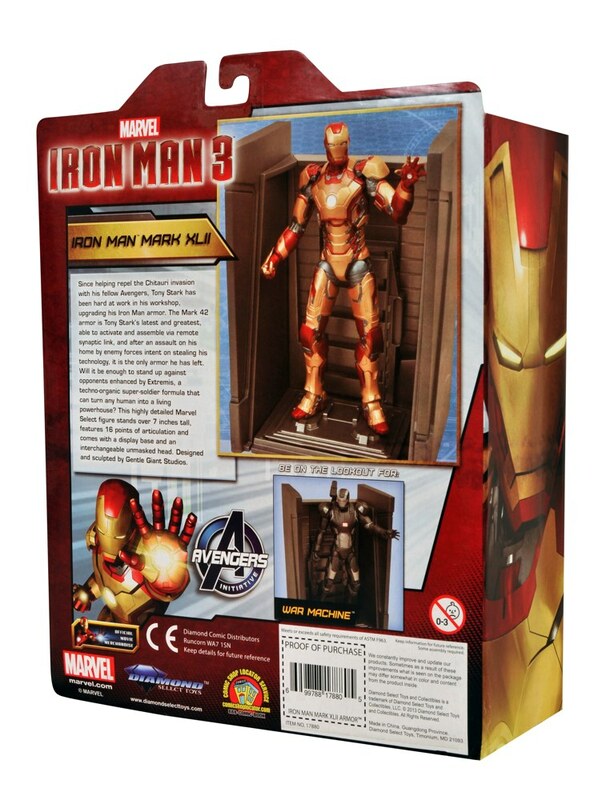 And stay tuned for full info on two more exclusive Iron Man 3 Marvel Select figures! 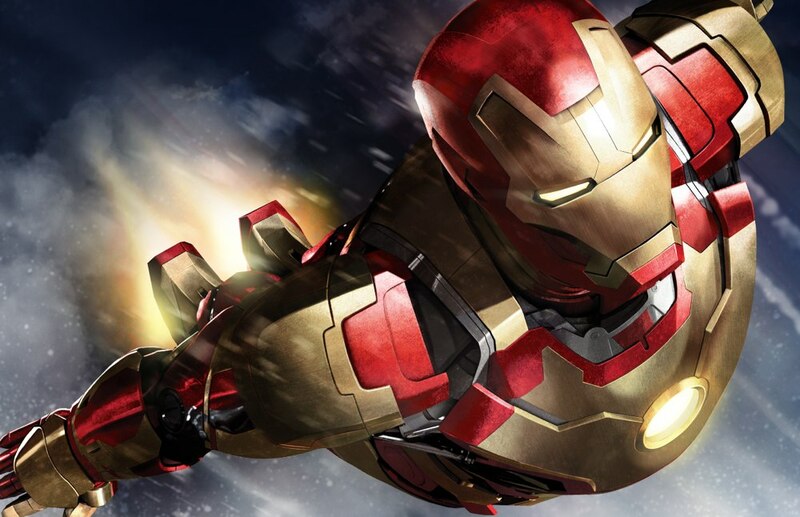 Next Up: Ask DST #208 – Boom Go the Minimates! 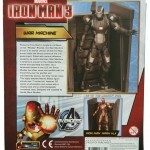 New Armors are Unveiled as the Final ‘Iron Man 3’ Minimates are Revealed! 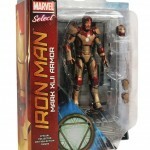 Two New ‘Iron Man 3’ Minimates Revealed!